Due to the ongoing restrictions around the theatre caused by the major fire in Glasgow city centre, Witches Fae Easterhoose has been rescheduled from May to October 2018 @ 7:30pm. Ticket links will still be the same as previous for the corresponding new exchange performances. 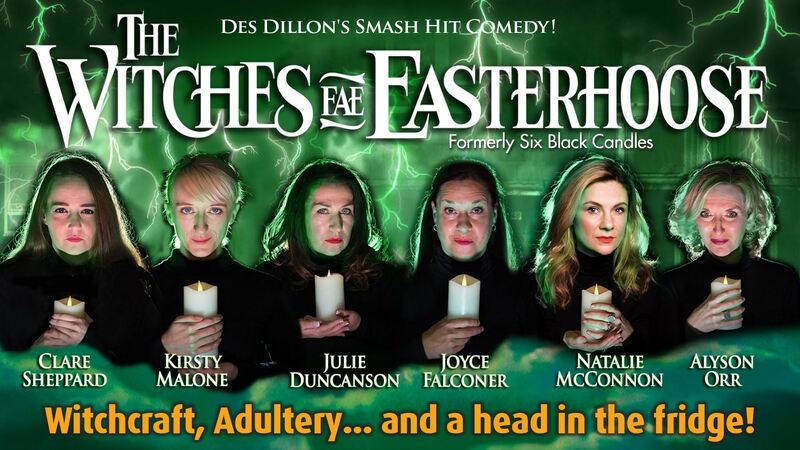 Des Dillon, writer of Singin I’m No A Billy I’m A Tim, brings you his HILARIOUS smash hit dark comedy, Witches Fae Easterhoose. Really disappointed in the show, the first half was promising, but the second half was awful. Alot of people left in the second half, but they also spoiled the show as they made alot of noise leaving. Absolutely hilarious! Never laughed as much as I did tonight. Cast were amazing! Love it. Me too had an excellent afternoon well done to all the cast. Typical Glesga Patter! Ye canny whack it! Great Show. Had a right laugh 🙂 All those IGNORANT people leaving and causing a scene..Shame on you for being so disrespectful. Well done to the Cast for ignoring them. Hi. I was at the show last night. Not for the faint hearted. Lol. I enjoyed it up to the point people started to leave VERY NOISILY!! It spoiled the rest of the show for me I’m afraid . Never experienced anything like it at the Pavilion. Found it very funny, the only problem was wee Stacey Gracies heed was in the freezer and no the wee Adulterer ! Six sisters, a mother & a granny havin a go at the wumin instead of the MAN! Next time it’s his turn. Brilliant from start to finish. Glasgow humour, only we could get away with it!!!! Makes me proud to be Scottish. 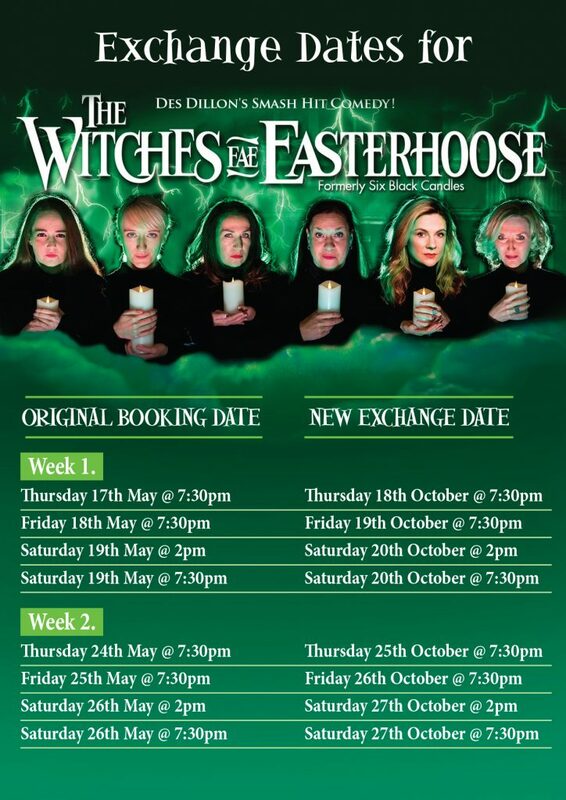 All the actors were fantastic wee bit disappointed no programme for sale though as I always like to see the cast list…. to nights show was fantastic and my wife and I really enjoyed it..
Great Glasgow humour, understood it all coming from Easterhouse myself.